Browse hundreds of healthy recipes, tasty cocktails and travel reviews to help you live your best life. From hotel and restaurant reviews to travel tips and family dinners you can do it, I'll show you how! This post may contain affiliate links. Full disclosure on sidebar. You’re going to love this easy meatless dinner! Perfect for meatless Mondays! While the cauliflower is roasting to perfect sweetness, you cook your pasta of choice. 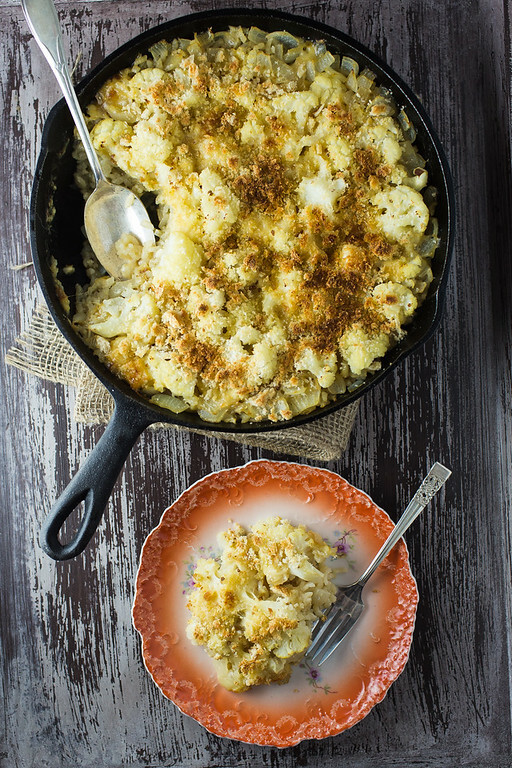 Then this Roasted Cauliflower and Garlic Pasta comes together in a snap! So easy! Post may contain affiliate links, full disclosure on side bar. Click here to pin this Roasted Cauliflower and Garlic Pasta now! If there is one thing I’ve learned in my 60+ years of life on this planet, most of the time simple is best. Jeans and t-shirt. A table adorned with a simple vase of flowers. A glass of white wine, a piece of cheese and a few grapes. Simple is wonderful. Nowhere do I embrace the simple more than when it comes to cooking. Oh, I’ve seen those blogs that have every single ingredient and condiment from their pantry and fridge tossed on a plate. I know there’s supposed to be layers in your food photography. These people have so many layers it’s like a skyscraper of food photography. And speaking of layers, if you look you’ll see I laid one piece of wood on top of another – and boom, I’ve got layers. Or at least layers my way. Oh, and I garnished. So, take that. This easy meatless pasta recipe has become a family favorite. What I love about it, besides that it is so quick and easy is that it is also easy to modify. 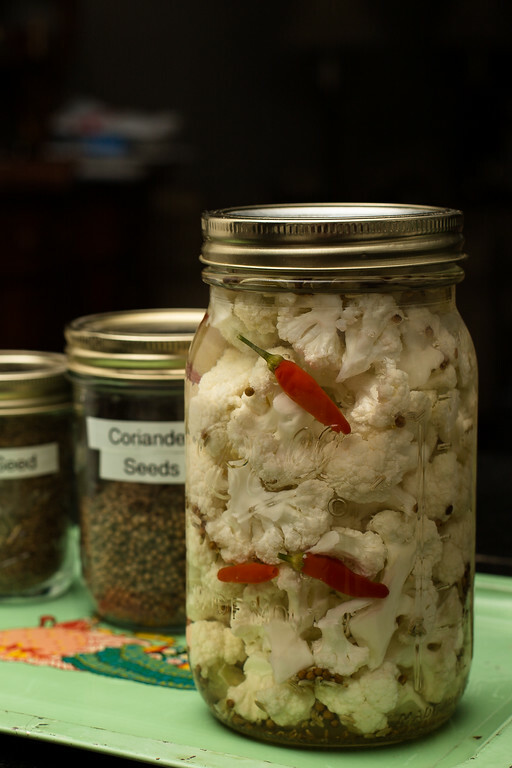 You can sub other vegetables for the cauliflower, depending on what’s in your fridge and what’s in season. In the spring, baby carrots, asparagus or peas would be wonderful. In the summer you could go with tomatoes or zucchini or both! Fall and winter squash would be delicious in the fall and winter. You don’t have to just use black olives, you can use your favorite olives or a mixture. If you don’t like olives, capers would be a good substitute. Don’t want it meatless? A little crumbled bacon, prosciutto, or pancetta would be perfect. This pasta dinner is so easy. You simply toss the cauliflower, olives, garlic cloves, rosemary, crushed red pepper flakes, lemon zest, olive oil and red wine vinegar on a baking sheet and roast in the oven. While the cauliflower mixture is roasting, you cook your pasta, I used whole wheat orzo. Then toss the pasta with the cauliflower, add some lemon juice to brighten it a bit and some fresh grated pecorino. Comfort food at it’s finest. I found this recipe in an old 2013 issue of Donna Hay. The oven does all the work and you take all the credit in this yummy Baked Cauliflower Risotto! 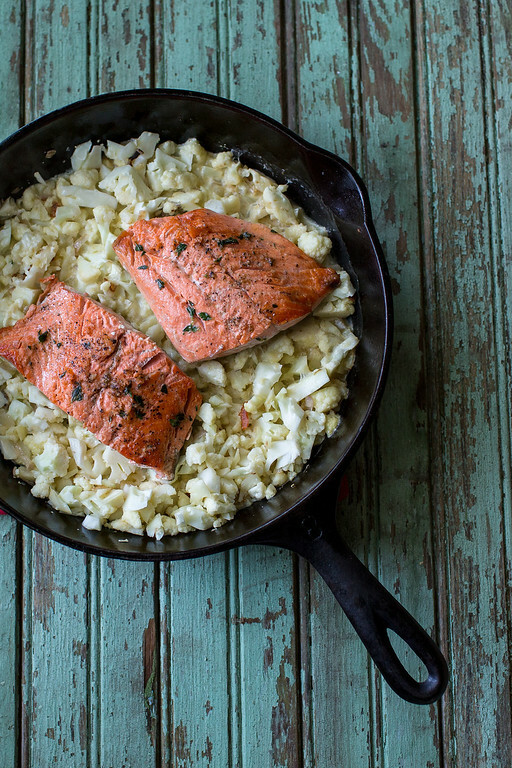 Dinner for two is quick and easy in this one pan Thyme-Rubbed Salmon with Cauliflower Risotto. This Pickled Cauliflower is great for tailgating, on a meat and cheese tray, and adds tang to salads! 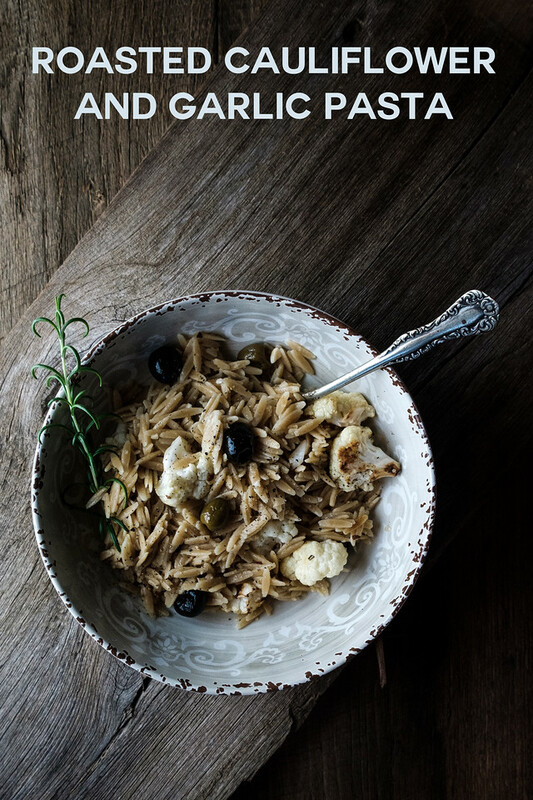 This Roasted Cauliflower and Garlic Pasta is easy and delicious! Place the cauliflower, olives, garlic, rosemary, chili flakes, lemon zest, oil and vinegar on a baking sheet and toss to combine. Roast for 15-20 minutes or until cauliflower is golden and crisp. While the cauliflower is roasting, cook pasta according to directions. Drain the pasta and return it to the pot. Add the cauliflower mixture and the lemon juice and toss to combine. Sprinkle with the pecorino before serving. Pam Greer is a retired special education teacher who has been sharing simple, easy and mostly healthy recipes on her blog, Sidewalk Shoes, since 2007! In addition to delicious food, she shares refreshing cocktails and travel reviews. You'll also find her 3 kitty cats making regular appearances. My pictures are so dull that no one would ever want to cook them. Your way of layers looks about right. And this looks like a terrific dinner; you could even add chicken or salmon to change it up a little! This would be great with chicken or salmon! Your photos aren’t dull!!! This looks FANTASTIC! I love dishes like this… and isn’t it great that orzo is readily available in whole wheat now?! Looking forward to making this, fo’ sure! Yes, I love whole wheat orzo! It’s one of my favorite whole wheat pastas. This is brilliant! I love cauliflower, but I never thought of adding it to pasta. The flavor must be amazing! It is really good and so easy! I love that you used orzo pasta! I think it’s so under used! This looks delicious. It’s my favorite whole wheat pasta! thats a perfect combination since I dont eat meat I would love this dish sounds delicious! Oh, yes you would love it! Pasta is the best. I just wish it did not have the carbs. This is another of your posts, recipes, I will be printing. Definitely making this one and you are so correct, simplicity is best. My bestie makes a roasted cauliflower dish that her family hoover up. She cuts big slices and the little bits that fall are also roasted just enough to male them like breadcrumbs. Not sure my lot would eat cauli without lashing of cheese sauce. I’ve been using high protein pasta of late, and it has a nice flavor. I like pasta with veggies added to it, and yours sounds like a good combination! Click here to sign up to receive email updates! You can choose to receive all or pick your interests! Sidewalk Shoes is a participant in the Amazon Services LLC Associates Program, an affiliate advertising program designed to provide a means for sites to earn advertising fees by advertising and linking to amazon.com.